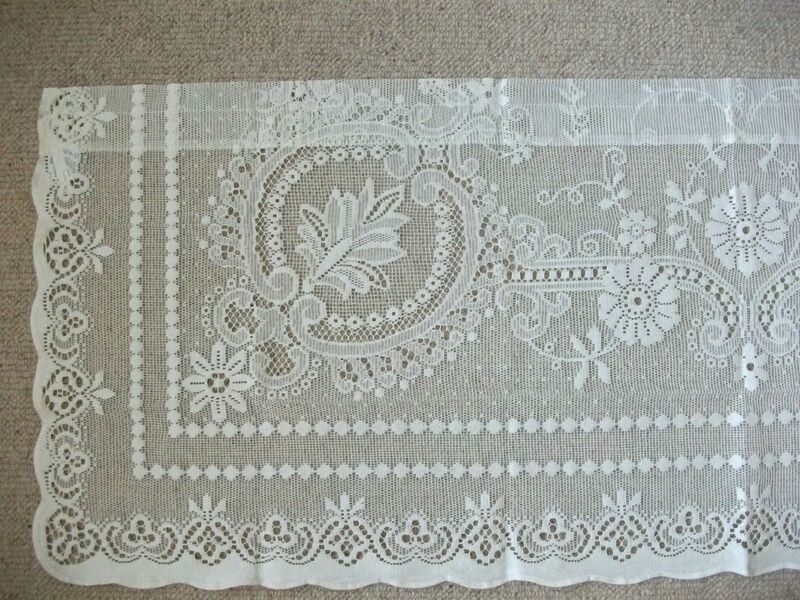 Traditional Genuine Vintage Bone colour Cotton Scottish Lace Panel 60W x20. 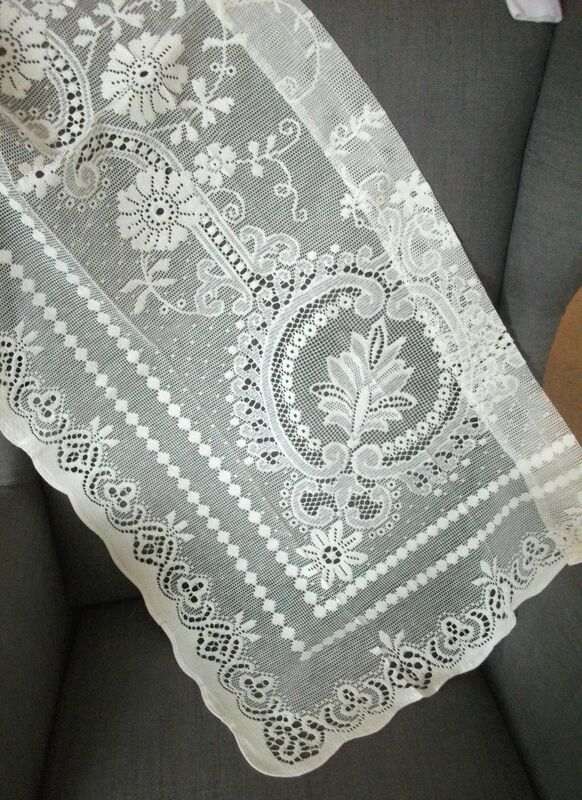 I have only one available, genuine, Bone (cream) in colour, vintage unused Scottish lace finished cafe curtain / valance panel which is nominally 60 inches wide and 20 inches drop. Ready to hang. 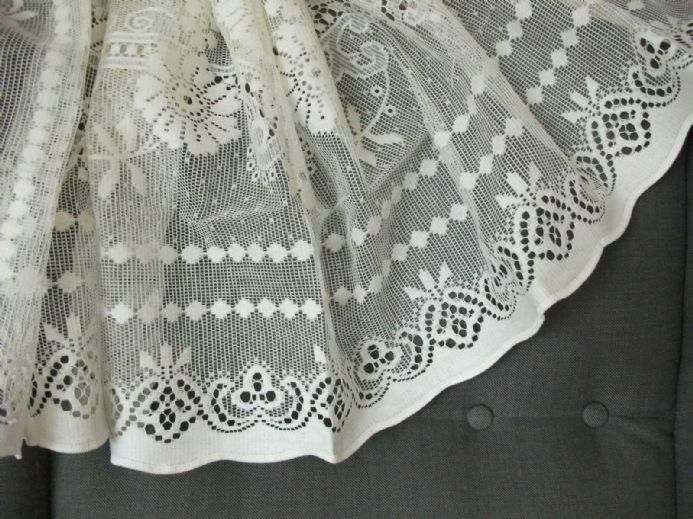 This is a gorgeous, fine lace valance panel manufactured in Scotland by the now closed Fleming 's Lace Company of 20 Lawson Street, Kilmarnock, Ayrshire, Scotland. The panel is complete with it's original packaging and is in excellent original condition, never having been hung. 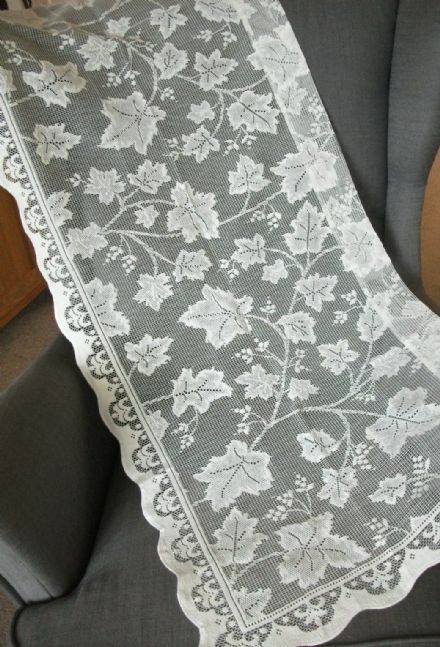 The design incorporates traditional flower heads and trailing leaves with classical shapes to the corners of the panel. The bottom and both side edges of the panel are scalloped. The top is sewn over to form a pocket for the curtain wire or rod. Fibre :95% Cotton, 5% Polyester. Colour : Bone. Gentle hand wash 40oC or cold water wash.